FEV Virtual Dynamics fills the gap between specialized internally developed tools and powerful multi-purpose simulation software packages, such as MSC Adams. 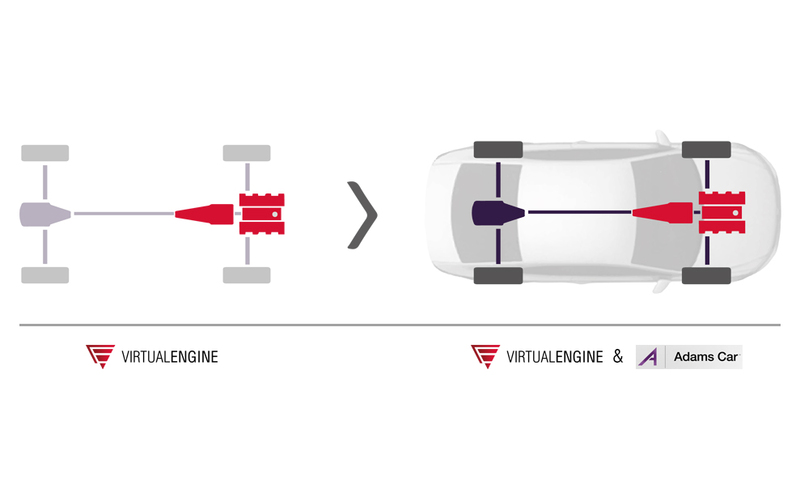 During any stage of the powertrain development process, FEV Virtual Dynamics (formerly known as Virtual Engine) lets users quickly optimize the performance of individual powertrain components, subsystems or even complete engines. This is achieved by applying the profound engine-specific knowledge from a leading powertrain specialist to the generic Adams simulation environment. 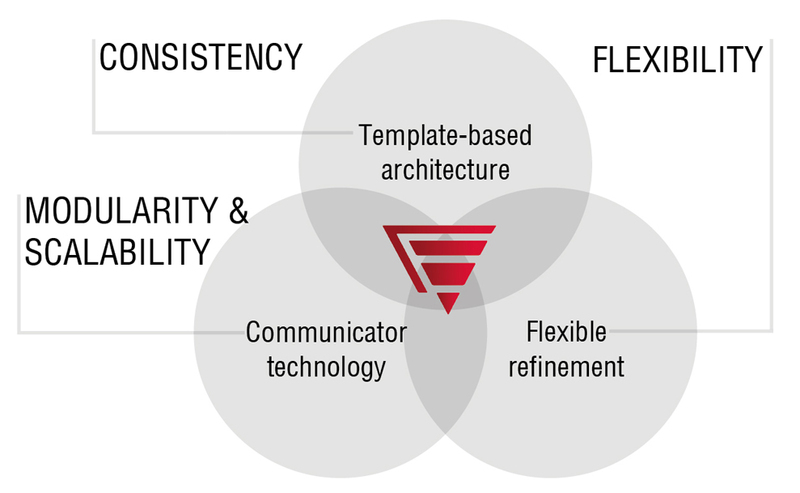 The result is a process-tailored interface and architecture, which perfectly matches the requirements of the powertrain engineering community. Special emphasis within the process is given to the refinement. The primary aim of FEV Virtual Dynamics is to support all of the development phases of engineering from low-end simulations for concept analysis to advanced simulations for verification of designs, using one tool. FEV uses a closed loop approach, which means that there is no need to change the working environment, because it allows data to be reused and refined at any point when it is appropriate. 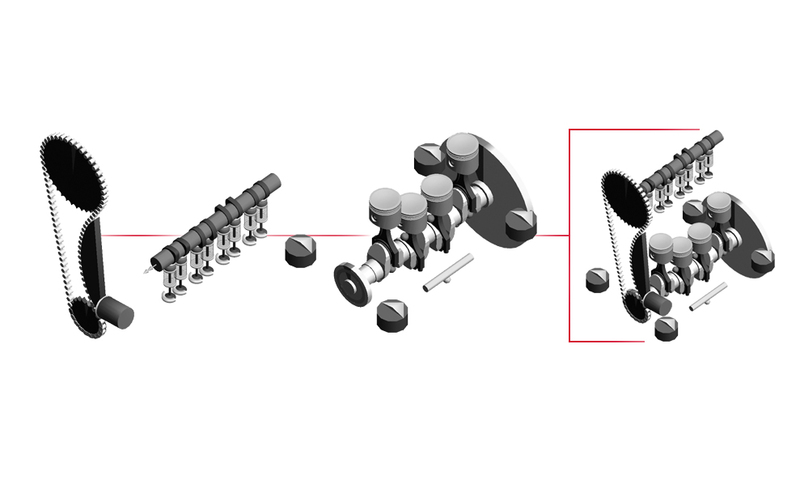 Continuous support for the engineering process is provided by a step-by-step refinement of the concept to whatever level of detail is required at a certain point in the powertrain’s development. To achieve this support, a collection of engine specific elements has been introduced, which take into consideration best modeling practices. The FEV Virtual Dynamics simulation environment enables engineering teams to predict, refine, and optimize the dynamic performance of powertrain systems as part of an overall vehicle design or embedded into any other engine application. Users can combine their designs of individual powertrain components and subsystems into a complete engine dynamics simulation. Virtual Dynamics enables engineers to solve problems regarding the structural load, life, durability, vibration, and performance of powertrain systems, within the given cost, weight, and packaging constraints. FEV Virtual Dynamics features user interfaces specifically tuned to the standard methods and procedures of powertrain development teams. The users benefit by quickly becoming productive with the software, even with little formal training. FEV Virtual Dynamics is designed from the bottom-up for building and testing powertrain concepts. It lets users quickly optimize the performance of individual components, engine subsystems, as well as the complete powertrain during any stage of development. FEV Virtual Dynamics offers specialized solutions for simulations typically employed during powertrain engineering, such as cranktrains, valvetrains and all types of timing and accessory drives. FEV Virtual Dynamics uses MSC Software’s flagship Adams software as its core dynamic solver. Adams is a general-purpose Multi-Body Simulation (MBS) tool that has become the world’s most widely used and trusted mechanical simulation system. It is recognized worldwide as the de facto standard for system-level virtual prototyping in the automotive industry. Powertrain Specialists designed FEV Virtual Dynamics to fulfill their engineering requirements and practical needs. The development of Virtual Dynamics grew out of a challenge faced by leading automotive manufacturers. Starting in 1998, a consortium of European OEMs, system suppliers and engineering partners began to develop their specific requirements for a new generation of powertrain dynamics simulation software. Back then, two of VI-grade 's shareholders were driving this initiative still working at MSC. Then MSC and FEV combined their strengths in simulation software and engine development knowledge to develop this new technology under the brand Adams/Engine. By the end of 2008 this partnership reached a new level, with the introduction of FEV Virtual Engine Powered by ADAMS. Today, FEV retains the responsibility for developing, enhancing and supporting the product. The partnership with VI-grade combines multi-body software development and distribution expertise and leading powertrain engineering domain knowledge to bring the preferred engineering tool for powertrain simulation to market.